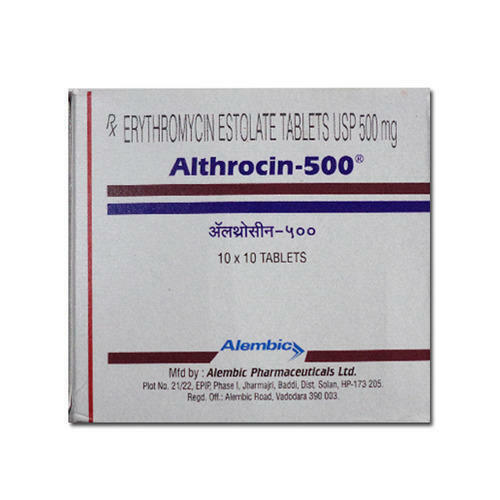 We are offering Erythromycin Salts Tablets to our client. We MedicineDropship Private Limited started in the years 2015 are one of the foremost wholesalers an extensive array of Paramedical Products. Our offered range consists of best grade ED Medicine, HG Injections and Etizolam Tablets. All products are prepared under the supervision of quality controllers in adherence to quality norms at our vendor’s end. In addition to this, these products are known in the market for their high purity, non-toxicity, long shelf life, and accurate composition. Apart from this, we are offering these products to our clients at very reasonable rates.